IN STOCK ! 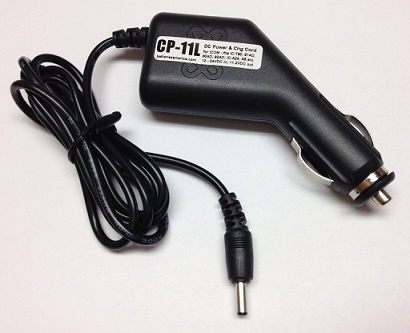 CP-11L: 12-24VDC Power & Charge Cord for ICOM handheld radios. Filtered, voltage regulated, and current controlled. Improved & enhanced version. Fits the IC-T90A, IC-T90E, IC-80AD, IC-91AD, IC-92AD, IC-A24, IC-A6; IC-E90, IC-T7H, IC-T81A, and many others. Plugs into 12VDC thru 24VDC; output is 11.2VDC @ 2A; other end plugs into side of radios (center hole is polarity POSITIVE+). Provides High-Watt TX power for radios, and will also charge attached battery packs such as BP-217, BP-210N, BP-211N, BP-209N, BP-222N (while they are attached to the radio). Includes built-in Voltage regulation, built-in noise-filter circuitry, and current overload protection. 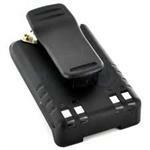 This CP-11L product is a Batteries America EXCLUSIVE item for your ICOM handheld radios. The BP-227 is a rechargeable 7.4volt 2000mAh Li-ION battery for ICOM handheld radios such as the IC-F50, IC-F50V, IC-F60, IC-M88, IC-V85, etc. Long Life, lightweight, memory-free Li-ION rechargeable battery. Includes heavy-duty belt clip. BP-217 : 7.4 volt 1600mAh long-life rechargeable Li-ION battery for ICOM IC-80AD, IC-T90A/E, IC-91A/AD, etc. BP-217 : 7.4 volt 1600mAh rechargeable Li-ION battery for the ICOM IC-80AD, IC-T90A, IC-T90E, IC-91A, IC-91AD (D-STAR) radios (worldwide versions). Replaces # BP-217. 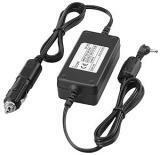 BP-210N : 7.2volt 2000mAh LONG LIFE rechargeable Ni-MH battery for ICOM radios (IC-A24, A6, V8, V82, U82, etc). BP-210N : 7.2 volt 2000mAh NiMH long life rechargeable battery for ICOM radios such as IC-A24, IC-A6, IC-V8, IC-V82, IC-F4GS, IC-F3GS, IC-F40GS, IC-F30GS. Includes heavy-duty spring-loaded belt clip. Replaces BP-222, BP-209, BP-210 etc. 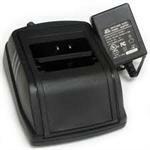 EMS-217 : Desktop Rapid-Smart Charger for BP-217 Li-ION packs (for ICOM). It will smart-charge a BP-217 (with or without the radio attached) in about 2.5 hrs, with automatic shut-off. Includes UL-listed wall AC power supply. CP-19R : DC Power & Charge cable for ICOM IC-T90, IC-80AD, IC-91AD, IC-92AD, IC-A24, IC-A6 radios etc. CP-19R : ICOM-brand DC Power & Charge cable for IC-T90A/E, IC-91A, IC-91AD (D-STAR), IC-A24, and IC-A6 radios. Input is 11 - 15.9VDC. Output is 11VDC @ 2.5A.